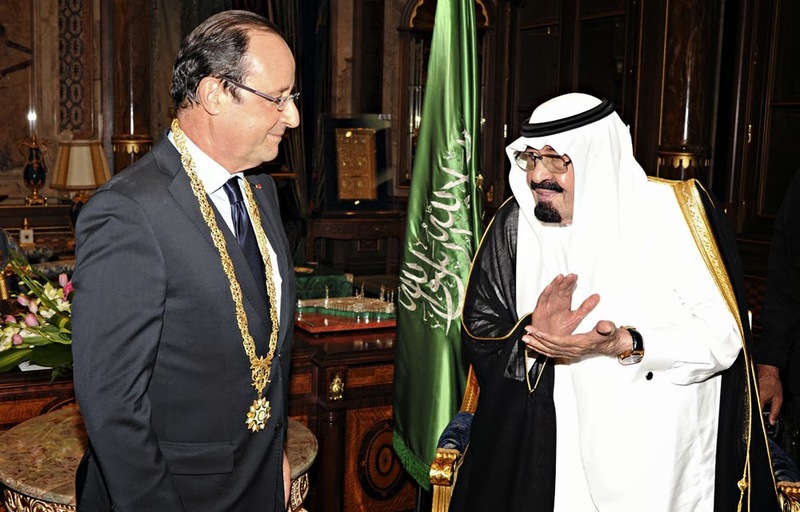 French President Francois Hollande flies into Riyadh this afternoon on his second official visit to Saudi Arabia before flying by helicopter to Rawdat Khoraym for talks with King Abdullah. 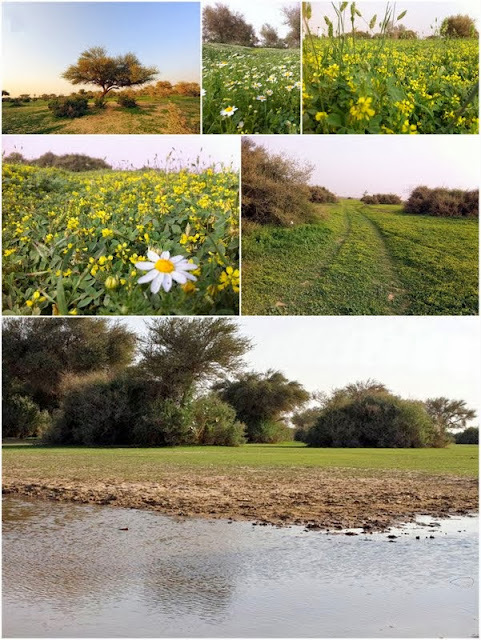 Rawdat Khoraym, or Khoraym Gardens, is a wild life park and oasis that blooms in the middle of the desert, chiefly in springtime. Situated some 100 kilometers northeast of Riyadh, Rawdat Khoraym is the King’s favorite retreat. Hollande told Lebanese journalist Ms Randa Takieddine in an exclusive interview for the pan-Arab daily al-Hayat he will focus in his talks with the monarch on the Iran file and the political solution in Syria. The French president said he would take up with King Abdullah the world powers’ talks with Iran on its nuclear ambitions and ways of reaching a political solution to the Syria crisis, the need to uphold Lebanon’s stability as well as France’s partnership with the Kingdom in the defense domain. France, Hollande stressed, continues to coordinate steps with moderate Syrian opposition forces to find a political outcome in Syria. He hoped the international community would come together at the Geneva-2 Syria peace conference to kickoff a process for a genuine transfer of power in Syria that would preclude the escalation of violence there and in the region. Hollande called for the cessation of violence that is threatening Lebanon, saying: “It is vital to respect the country’s constitutional deadlines, particularly the date set for presidential elections” in May. President Michel Sleiman's mandate runs out on May 25 and there are fears a successor will be hard to find because of huge disagreements between Lebanon's pro- and anti-Syria blocs.